If you want to see the beautiful nature in winter season, snowshoe hiking is highly recommended. 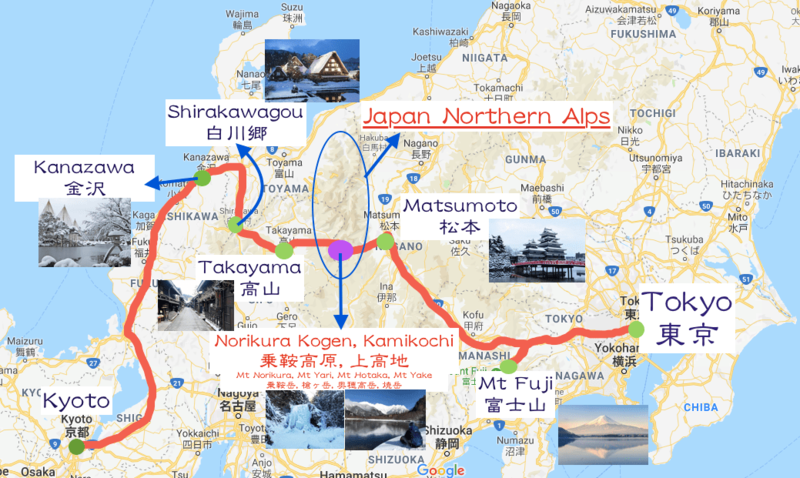 There are some places to enjoy snowshoeing such as Hokkdaido and Okunikkou but Norikura Kogen located in Nagano prefecture, Japanese alps is the best. Norikura Kogen(=Highland) is located in the Chubusangaku national park, Matsumoto-city and mid of the Matsumoto-city and Takayama-city. Travel route from Tokyo to Kyoto via Matsumoto, Takakayama, Shirakawagou and Kanazawa is becoming popular. One of the reason is to visit Japanese alps which is a famous tourist spot rich in natural beauty. Norikura Kogen is in the Japanese alps and quiet spot rich in natural. Why Norikura Kogen is the best place in Japan to snowshoeing ?? These view looks like a wonderland. Snowshoeing guided tour will be wonderful adventure which could never have in other spot in Japan. You can enjoy the downhill snowshoeing and snow dive by using natural varied topography and its would relive your childhood. Norikura Kogen is bit remote but known to local Japanese people who loves winter activities however still undiscovered by foreign tourists. Around ２m of snow will be covered so, you can enjoy deep powder. Norikura Kogen is located 1500m to 2000m above sea level therefore temperature is very low and makes powder snow. Mt Norikura Snow Resort is one of the best powder snow resort in Honshu however, there are many popular big snow resort in Nagano prefecture so, Mt Norikura snow resort is not known to foreign tourists. It means great spot to enjoy skiing, snowboarding and snowshoeing. Moreover lift ticket and gears are every cheap compare with other snow resort. Guesthouse Raicho located in Norikura Kogen is organazing showshoe guided tour in Norikura Kogen and Kamikochi. Special offer 1. Accommodation and tour package. We will discount the tour fee in case guests will stay Raicho. The guests who will stay at Raicho for more than 2 night and cannot meet final bus departing from shinshimashima station use pick up service at Shinshimashima station. Ex. In case arriving at Nagoya(Chubu), Haneda, Narita airport at around noon and heading to Norikura Kogen, there is possibility to miss the last bus departing from shinshimashima station at 17:25. In this case, we will pick up you at Shinshimashima station or Matsumoto highway interchange(for the guests who use highway bus)after 18:00. But this pick up service is available for the guests who stay us more than 2 night. The guests who joined the Zengorou waterfall, Sanbon waterfall and Norikura Kogen long snowshoeing tour can join most popular tour of Guesthouse Raicho’s Night snowshoeing tour with 20% OFF. If you apply Zengorou waterfall, Sanbon waterfall and Norikura Long snowsnoeing tour until end of November, additional 500yen for each person will be discounted for the first 10 groups. Night snowshoeing tour will be stared at 19:00 or 19:30 and finished 20:30 or 21:00. Private tour is available by additional 4,000yen for group. Private tour is available by additional 5,000yen for group. Private tour is available by additional 3,000yen for group. 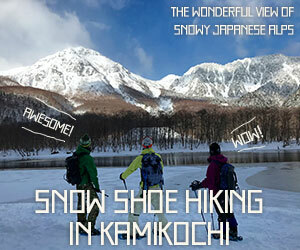 Guesthouse Raicho also organizes Kamikohchi snowshoeing tour.